Yes, this is unreal. (said by an ex semi-pro photographer who, admittedly many years ago, worked with several pros who were all totally obsessed / paranoid about keeping their expensive and delicate equipment out of harm's way. As it is, a mere scratch on those telephoto lenses would be disastrous - yet they let them float around the ISS like children's party balloons?... ). Space is a fascinating frontier for photography. It was only when I started looking at the new unofficial official ISS photographer, Thomas Pesquet, I noticed that the basic ‘laws’ of photography do not apply in space. The EXIF data (the data attached to each image) are also interesting as in a sense they are they ‘key’ to the photo. Pin Sharp Night Shots whilst speeding by? No problem! On earth, a minimum shutter speed required for a good sharp photo is said to be the reciprocal of the lens length (as a minimum). So, if you have a 400mm lens, the minimum shutter speed should be 1/400th of a second. Common sense would also suggest that if you are moving at 17,000mph whilst floating over a spinning earth, you might want to increase that a touch! Let’s have a look. Nice crisp image then taken at…….1/20th of a second! We’re now down to 1/15th of a second and still reasonable! No discernible blur. Curious that this photo is not significantly darker than the last two given that the ISO value is set to zero. Perhaps this is another anomaly caused by space photography! Roughly 2.3 miles are covered in the duration of the shutter being open and still no blur! So….we’re now down to 0.3 of a second and still no discernible blurring! And why is the value expressed differently in the EXIF data? This is not the only anomaly! Curious. Moreover, we’re using a 28mm lens, a perfectly ‘terrestrial’ wide angle lens to photograph the earth from 200 miles up! In addition, the low shutter speed plus insanely high ISO could / should give massive overexposure according to earlier variables on the photos above, but no! It looks great. This is how monopods (a single legged tripod) are used in conjunction with a telephoto lens on earth. I know what you’re thinking…….they don’t need one the ISS because it’s a weightless environment? Partly correct. The monopod also absorbs or prevents the natural shake from the body that transmits and amplifies down the length of the telephoto barrel, which can cause blur. Don't spare a thought for the movement of your body, the camera, the ISS hurtling by at 17,000mph and the spinning earth below. Just float and snap away with a focal length up to 1100mm! ISS style photography. No bracing of the camera, monopod. Just good clean floating photography! “Houston. We have a problem”! It’s the old different pylon structures again (first called out by Simon in this thread). Still unashamedly being touted around the place. Can anybody honestly say that that represents a ‘real’ photography and not ‘digital imagery’? “Hold on…...what on earth is that”? If we eventually cannot discern the difference between a photograph and composite or pure digital imagery then we have very big problems indeed. The lie hides in plain sight and the intention I feel is to completely blur those boundaries in order that our perceptions are completely fooled to the point that we remain passive, completely uncritical. This means that future psyops can be less and less impressive with more and more discontinuities, poor storylines, obvious media assets and contradictions and yet…….we will never raise a murmur. I mean look at those arrays! They're absolutely mind numbing. Incredibly foreground sharpness combined with terrific earth detail also, using the classic photojournalists lens (24-70mm) set to 36mm! Possible? Doubtful. No wonder Nikon are the official choice for NASA if they can produce imagery like this! Given the competitive nature of Nikon and Canon cameras, it surprises me that Nikon doesn't make more of this incredible relationship between NASA and themselves! It’s almost as if they play it down! Curious. You're probably aware of the recent government change in Spain. What has this to do with the ISS? Very simple: the new minister of Science and Technology is no other than... Pedro Duque, the Spanish 'astronaut' who purportedly spent some days in the ISS. Wrote something about him here. Curiously enough, the YT vids I linked have been removed. Truly painful to see you guys floundering in moronic nonsense. Scratched lenses my arse. There are no Cameras or anything else. The ISS is a VR and Augmented Reality....dare i say Shack, no Shed will do. Watch this video, yes it has "Flat Earth" in the title, a broad church as far as I can tell. And don't start questioning me about my beliefs, I don't have any. And in case you are interested, I have done what one of the commenters has mentioned. You all know I study C++ for a past-time, I have done this AR/Optical Flow tutorial with a Webcam and a Command Prompt. Watch!!! And eveything else on this site has gone the same way. ISS crew now "essentially marooned"
Do not miss Chris Hadfield's commentary at 2:22 of above Sky News clip! 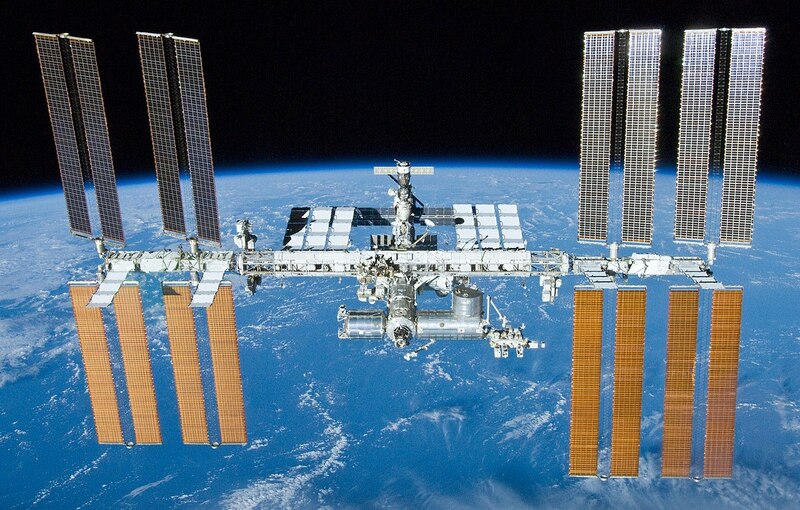 simonshack » October 14th, 2018, 4:36 pm wrote: ISS crew now "essentially marooned"
For full emotional impact you won’t want to miss Commander Hadfield’s rendition of “Rocket Man” either. Yes, I think it's gonna be a long, long, time. Is this latest story a 'way out' for the I.S.S. fiasco? Is this to be another long-lasting tear-jerker for public consumption? Are we now to be assailed by permanent reminders of this farce? Will the Farce be with us? Are the oceans too full of spent rockets? Are we looking at an upcomming of a new version of 'Marooned'? Mainstream believers think that the anti-gravity effects seen in the Skylab and ISS videos are impossible to fake. I guess, by that reasoning, David Copperfield is a sorcerer and can really fly. Note that Copperfield achieved this trick in front of a live audience, that is, without use of CGI. You should buy one of those new smartphones. 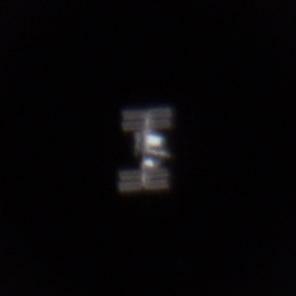 The cameras in them are so good you can even take pictures of the ISS! The best advertising is the one that is not perceived as such. Now go and by a new phone. Yet, it now looks like this?